The Ebola outbreak in the Democratic Republic of Congo does not yet merit being labelled an emergency of “international concern,” the World Health Organization (WHO) said Friday. “It was the view of the committee that the conditions for a Public Health Emergency of International Concern have not currently been met,” WHO said in a statement after a meeting of its International Health Regulations Emergency Committee. The Kinshasa government announced the outbreak of the deadly virus in northwestern Equateur province on May 8. To date, there are 45 suspected, probable or confirmed cases and 25 people have died. In the WHO’s parlance, “a public health emergency of international concern” is an “extraordinary event” in which a disease may spread across borders and requires a vigorous international response. “This definition implies a situation that: is serious, unusual or unexpected; carries implications for public health beyond the affected State’s national border; and may require immediate international action,” the WHO says on its website. It was declared twice in 2014, when polio re-emerged after the disease was nearly eradicated and after an Ebola epidemic struck three West African countries; and in 2016, in response to an outbreak of the Zika virus. Once the emergency is declared, the WHO plays a coordinating role. It advises countries that are affected on how to contain the disease, including measures on health surveillance and trade and travel guidelines, and helps to pool scientific data. Invoking the measure also helps to mobilise funding and support on the ground. It is also noted that “the risk of international spread is particularly high” given the confirmation of a case in Equateur’s capital Mbandaka, a key transit point on the Congo River. 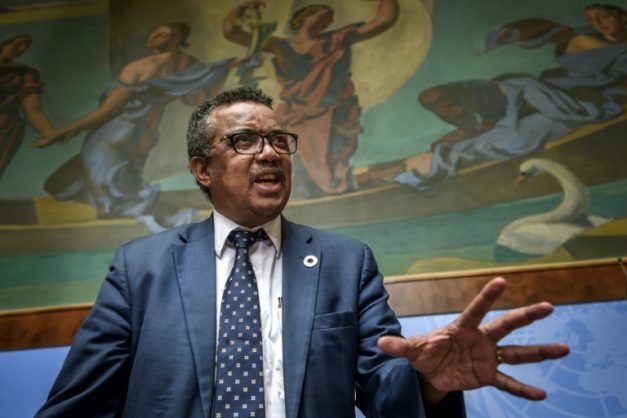 Separately, WHO Director-General Tedros Adhanom Ghebreyesus told reporters that health workers planned to start Ebola vaccinations on Sunday in Mbandaka and in the remote, rural Bikoro area where the outbreak began. The UN agency expects to have 7,500 doses of the new experimental vaccine dubbed rVSV-ZEBOV on the ground by the weekend. The initial target group of people to be vaccinated is between 8,000 to 10,000 people. That includes health workers, other frontline responders like those tasked with burying Ebola victims, along with 100 to 150 contacts of each Ebola patient. Vaccine maker Merck has said it has 300,000 doses ready for the UN’s use free of charge.